If you prefer functionality dressing when it comes to fashion, you'll love this easy pairing of an ASOS DESIGN muscle fit longline t shirt with curved hem in rib from Asos and black sweatpants. 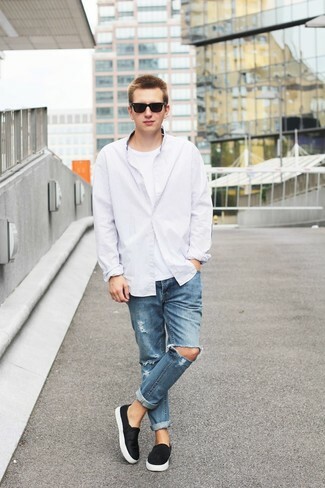 Bump up the cool of your outfit by wearing white low top sneakers. 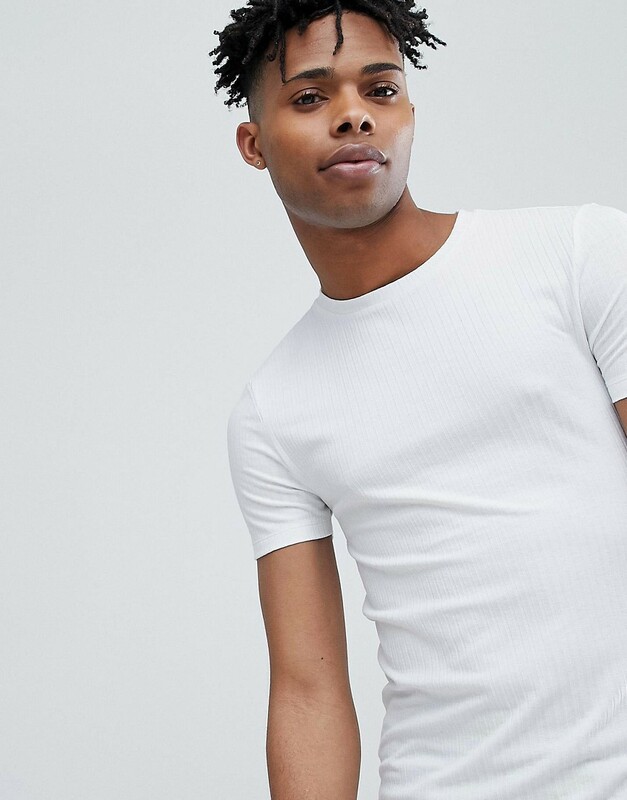 If you're on the lookout for a casual yet on-trend getup, wear an ASOS DESIGN muscle fit longline t shirt with curved hem in rib from Asos with black corduroy jeans. Both items are totally comfortable and will look great paired together. 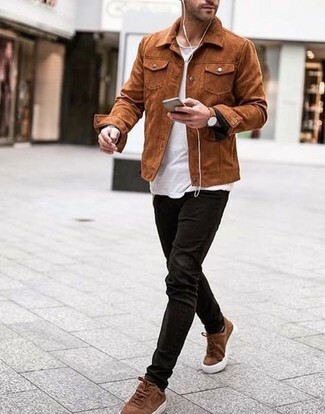 Round off this getup with brown suede low top sneakers. 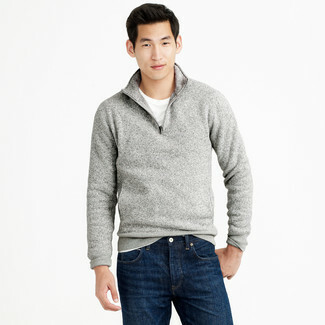 Wear a white crew-neck t-shirt and black and white print sweatpants for a comfy-casual look. When it comes to footwear, this ensemble is finished off nicely with white athletic shoes. If you're after a casual yet stylish look, wear an ASOS DESIGN muscle fit longline t shirt with curved hem in rib with grey shorts. Both pieces are totally comfortable and will look great paired together. 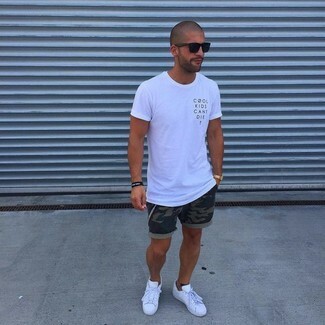 If you prefer functionality dressing when it comes to your personal style, you'll love this knockout pairing of an ASOS DESIGN muscle fit longline t shirt with curved hem in rib and olive camouflage shorts. Got bored with this ensemble? Enter white plimsolls to shake things up. If you prefer comfort dressing when it comes to fashion, you'll love this easy combo of an ASOS DESIGN muscle fit longline t shirt with curved hem in rib and light blue ripped skinny jeans. You could perhaps get a little creative when it comes to footwear and elevate your outfit with green suede low top sneakers. If you're searching for a casual yet on-trend outfit, try pairing an ASOS DESIGN muscle fit longline t shirt with curved hem in rib from Asos with navy jeans. Both pieces are totally comfortable and will look great together. This pairing of an ASOS DESIGN muscle fit longline t shirt with curved hem in rib and pink chinos is effortless, sharp and very easy to recreate. 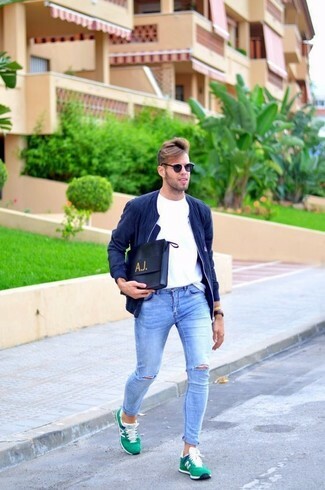 If you prefer comfort dressing when it comes to fashion, you'll love this simple pairing of a white crew-neck t-shirt and blue ripped jeans. 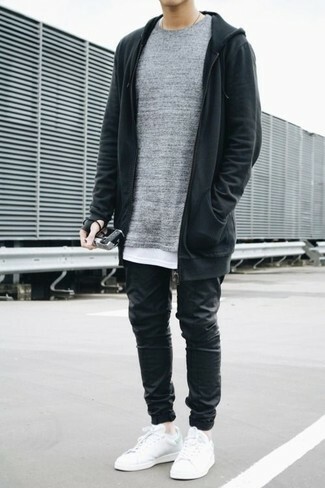 Wearing a pair of black suede slip-on sneakers is an easy way to add some flair to your look.